Jane Austen is considered to be one of England's greatest authors, second only to William Shakespeare. Both scholars and general fans study her life and works; some even believe that Austen-mania has reached cult levels. There are many reasons for her popularity, the main being that at the heart of her stories are themes accessible to all audiences: friendship, love, misunderstanding, and family. Her works remain timeless, frequently being adapted for television and films. Austen's language is fresh and witty, making Regency England come alive for the reader. To read her characters is to wonder what the author herself was like. This pathfinder is meant for undergraduate students studying Jane Austen, specifically those studying at the University of North Carolina at Chapel Hill. The items cited here relate principally to Jane Austen's life; it is not meant to be a guide to critical works on her writing. Chapman, R. W. Jane Austen: A Critical Bibliography. Oxford: Clarendon Press, 1953. This selective bibliography is aimed to "Austenians in general, rather than the fastidious collector." It includes listings of all editions of her novels published before 1890, her minor works, her letters, and biographical and critical works. This highly respected work includes brief annotations and is widely cited in scholarly publications. Austen, J. E. A Memoir of Jane Austen. London: Century Press, 1987. This elegantly written memoir by Austen's nephew, James Edward, was first published in 1869, based on family memories and Austen's letters. It was reprinted in 1870; the second edition included an unpublished chapter of Persuasion, and the complete texts of Lady Susan, and The Watsons. This text is heavily cited in encyclopedia and biographical entries on Austen. J. E. Austen enhances his memories by including selections from his aunt's letters. Roth, Barry and Joel Weisheimer. An Annotated Bibliography of Jane Austen Studies, 1952-1972. Charlottesville: University of Virginia Press, 1973. Roth, Barry. An Annotated Bibliography of Jane Austen Studies, 1973-1983. Charlottesville: University of Virginia Press, 1985. Roth, Barry. An Annotated Bibliography of Jane Austen Studies, 1984-1994. Charlottesville: University of Virginia Press, 1995. The purpose of these three volumes is to list and annotate every book, essay, article, and dissertation on Austen, including critical matter in every different edition of her works (English and translations), and significant mentions of her in other texts. A list of abbreviations is provided at the beginning of each volume. The bibliography includes three indexes covering authors, titles, and subjects, and numerous cross references. The annotations are not evaluative, but they do summarize the content of the work. Copeland, Edward and Juliet McMaster eds. The Cambridge Companion to Jane Austen. Cambridge: Cambridge University Press, 1997. This work presents Jane Austen's writing in two broad contexts, that of her contemporary world and that of present-day discourse. Essays contributed by Austen scholars explore issues such as religion, class, economics, literary style, and Austen as a literary cult figure. The editors provide a list for further reading and include a comprehensive index. "Jane Austen." Dictionary of National Biography. London: Oxford University Press, 1975. The DNB is the premier source of biographical information for British figures. This entry lists Austen's immediate family, discusses her childhood briefly, provides a physical description, and briefly discusses her work. Although this entry is not as exhaustive as the one in Encyclopaedia Britannica, it covers the most important aspects of her life. DNB also gives some indication to how her works were received in her own lifetime. Grey, J. David ed. The Jane Austen Handbook with a Dictionary of Jane Austen's Life and Works. London: Athlone Press, 1986. This is a collection of brief essays on topics related to Austen studies. Essays cover varying topics from fashion to politics. It also contains a family tree, a chronology of her works, and a dictionary containing all of her characters, every real or fictional place, and all known literary allusions in her works. An extensive index and bibliographies at the end of each essay make this a useful reference source. Poplawski, Paul. A Jane Austen Encyclopedia. Westport, Conn.: Greenwood Press, 1998. This work "aims to present the known facts about Jane Austen's life and works in as uncluttered and straightforward a manner as possible" and succeeds wonderfully. It is divided into three sections: a chronology; an encyclopedia of her works, characters, and family; and a bibliography of both her works and criticism about her works. The chronology is broken into three sections: Austen's life and works, a historical chronology from 1750-1820, and a literary chronology from 1749-1820. The encyclopedia includes illustrations of current fashions and photographs of significant locales. The detailed index and references within the text make this a valuable work for any researcher. Southam, B. C. "Jane Austen." The New Encyclopaedia Britannica. Chicago: Encyclopaedia Britannica, 1998. This article is an excellent source of information on Austen's life and provides an overview of her works, including her juvenilia. The biographical section explores Austen's childhood in Steventon, her family, and a possible love interest. The section examining her works contains plot summaries and a brief investigation of the evolution of her writing. This is a valuable resource for someone in search of biographical and critical background information. Cecil, David. 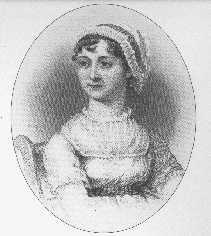 A Portrait of Jane Austen. London: Constable and Co. Ltd., 1978. This biography attempts "to reconstruct and depict her [Austen's] living personality and to explore its relation to her art." It progresses through her life, from her years in Steventon and Bath, to her maturity and growing literary fame in Chawton. Filled with sketches and photographs, this richly illustrated work presents an account of her life in clear, simple language. Halperin, John. The Life of Jane Austen. Baltimore: Johns Hopkins University Press, 1996. Halperin attempts to dispel the myth of Austen as the kind, spinster aunt, instead casting her as a real woman, critical of the flaws in those surrounding her. Unfortunately, his work contains many factual errors. He makes wide use of her letters, as do other biographers, but his work is not as authoritative. Although this work is cited in several reputable bibliographies, it should not be used in serious study. Austen-Leigh, William and Richard Arthur Austen-Leigh. Jane Austen: A Family Record. Deirdre Le Faye ed. Boston: G. K. Hall and Co., 1989. This is the definitive factual biography of Jane Austen. Le Faye has revised and added information to Jane Austen: Her Life and Letters (William Austen-Leigh and Richard Arthur Austen-Leigh), using family letters and records previously unused. She includes a family tree of Austen's immediate family and her descendants, a chronology of her life from April 1764 to December 1817, family portraits, illustrations of her home in Steventon, and a comprehensive bibliography. Edwards, Anne-Marie. In the Steps of Jane Austen. Southampton: Arcady Books, 1985. This beautiful collection of photographs and maps illustrate the extent of Jane Austen's travels throughout England. Edwards includes a timeline of Austen's travels in addition to the maps of her travels. Quotations from Austen and her family's letters enliven the text, which directs the reader to scenic locations from Austen's life. Lane, Maggie. Jane Austen's England. Great Britain: Robert Hale Ltd., 1986. This book examines the impact that Austen's travels had on her writing. Excerpts from her works and beautiful engravings of sites from her life and novels make this an excellent source to gain an overall concept of the England of Austen's novels. These indexes are available from the Electronic Indexes and Databases listing at the UNC Libraries homepage. They may only be accessed from the UNC campus, or from off-campus with a valid UNC-CH PID. Useful search terms may include "Jane Austen," titles of her novels, and character names. Updated annually, this index attempts to list, for English-language literatures, monographs, periodical articles, critical editions of literary works, book reviews, collections of essays, and doctoral dissertations published anywhere in the world. ABELL can also be accessed through Literature Online. Searching "Jane Austen" in keyword produces 2,379 results, which can be limited to primary works, reviews, or both. Literary Journals Index Full Text (LIFT) draws its content from over 200 journals in literature, with over 30 of these available in full text. LIFT covers a wide range of literary studies from the foundations of American and English literary traditions to contemporary criticism and theory. Coverage includes 17th-, 18th-, 19th- and 20th-century literary studies, genre studies, criticism and commentary, original works and more. Searching in "all keyword" under "Jane Austen" produces 637 entries, approximately half of which are full-text. This database provides comprehensive coverage of a tremendous range of literature. This resource allows you to search for texts, browse authors and works, and search for secondary materials on an author or text. It spans 1,400 years, providing remote access to more than 260,000 fully searchable literary texts. In addition, it contains major reference tools, secondary sources, biographies, and bibliographies. Searching for "Austen, Jane" in the author field produces 27 bibliographical sources, 3,135 works about Austen, a biographical essay, and a list of her works. The combination of biographical, critical, and bibliographical information makes this database an excellent resource for any researcher. This index covers articles in literature, languages, linguistics, and folklore from thousands of journals and series published worldwide; it also covers monographs, working papers, proceedings, and bibliographies. MLA is one of the most well-respected and comprehensive sources for information on authors and their works. Searching in "words anywhere" under "Jane Austen" produces 1,953 results including dissertations, book chapters, and journal articles; a subject search of "Jane Austen" produces 1,922 results. Updated quarterly, it covers from 1963 to the present. Persuasions: Journal of the Jane Austen Society of North America. Victoria, B.C. : Jane Austen Society of North America, 1979 - . Annual. Published annually, this journal contains reports and papers from the Society's annual conference, articles written by members on Jane Austen, her family, her art, or her times, and news of JASNA activities. A complete listing of the contents is available on the JASNA website. Indexed in MLA. This is the sister publication to Persuasions (print). The on-line version is published biannually, under the same editor of the print version. Access is free. Wordsworth Circle. New York: Wordsworth-Coleridge Association, 1970 - . Quarterly. This journal covers the English Romantic period, focusing on writers such as Coleridge, Blake, Byron, Shelley, and Austen, as well as other minor writers and non-literary figures. Contains book reviews and historical, biographical, and comparative studies. Indexed in MLA. This page offers electronic texts of Austen's novels and juvenilia, biographical information, excerpts from the Austen-l listserv, and sites with photographs and copies of artwork. It is maintained under the Republic of Pemberley (http://www.pemberley.com/), a web site devoted to the worship of Austen. Note: this page does not contain criticism on the works of Jane Austen. Home of the Jane Austen journal Persuasions, this is the official web site of JASNA. Its purpose is to bring "scholars and enthusiasts, amateurs and professionals together on equal terms to study and celebrate the genius of Jane Austen." Visit this site to find information on the JASNA annual conference, book and movie reviews, and scholarly Austen web sites. Published by Dr. William Kemp, Professor of English at Mary Washington College, this is a comprehensive collection of photographs of Austen-related sites. Dr. Kemp includes photographs of locales in Steventon, Bath, Chawton, and Winchester; he also includes a section on settings featured in various film adaptations. This is a useful source, but it is graphics-intensive so it may take some time to load.